All the "Freddie Celebration Days 2019" concerts and events are free. Thursday September 5th - Freddie Mercury's birthday ! '39 Queen Tribute, second year in Montreux, will play a new gig on September 5th for the Montreux Celebration 2019 week end. This will be the day of Freddie’s 73rd Birthday under the Market Place. The band, founded by Angelo Malatesta, guitarist owner of Innuendo Studios – Milan - and known to the Italian audience also for his guitar-tech role in the Italian version of Brian May's "Red Special" book (published by Tsunami Edizioni and translated by Raffaella Rolla). Musicians are Mitia Maccaferri - frontman and singer, Angelo Malatesta - guitar, Roberto Brogi - bass, Gabriele Grossi - drum and, Maximilian Agostini piano and keyboard. 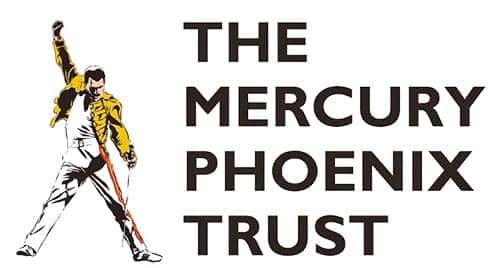 ’39 Queen Tribute is officially supporting the Mercury Phoenix Trust to raise funds in Italy since september 5th 2016. Follow the band #39queentributeofficial on Facebook, Youtube, Instagram and Twitter official pages. Boat trip (La Demoiselle) with Peter Freestone to the Lake House. Boarding at Pontoon "Bon Port"
Alfie won best solo performer at Battle of the Bands last year. Alfie is a 13 year old boy who idolises Freddie Mercury. He became interested in Queen when he heard Bohemian Rhapsody on the car Stereo a couple of years ago. He fell in love with the song and this is where his fascination with Freddie all started. His mother got him a vocal coach but he didnt like it because she was trying to mould him into something he didn't want to be. He wanted to be different like Freddie and knew that Freddie didn't have any vocal training. Alfie has Asperger Syndrome which means he has no real friends. He is a very lonely young man and he learnt from Freddie that it is ok to be different and that it doesnt matter what other people say. Alfie is self taught on the piano, he sings and he also plays the guitar and bass and he has already written 21 of his own songs and recorded 4 of them up to now. SMILE, the choir of the Vevey schools, beats to the rhythm of the Anglo-Saxon musical comedy under the pulse of Christophe Farin, their musical director. These young artists participate in many projects whose motto is always the same : to share the pleasure of being on stage. From a few voices only to more than fifty, the number of people in the choir varies according to the events. After having recently accompanied Laurent Voulzy on the prestigious stage of the Stravinsky Auditorium in Montreux, adapted the musical HAIRSPRAY, they launched into Queen's repertoire! Aged between 11 and 15 years old, they will be present throughout the festival to participate in the various events and remind us that Queen's music is intergenerational. We will offer you all a colourful evening with free concerts and entertainment under the covered market ! More information on this "Overflow" event will be announced very soon. After his first show under the market place Saturday, Alfie will perform again and near the statue on Sunday Sept 8th. Alfie is a 13 year old boy. He decided he wanted to do what Freddie did and sing and perform just like him. Alfie has Asperger Syndrome which means he has no real friends. He is a very lonely young man which is why he probably relates to Freddie. He is self taught on the piano, he sings and he also plays the guitar and bass. He won best solo performer at Battle of the Bands last year. He also won student of the year at his vocal school even though he only attended a few lessons. “Queens in Heaven" is an A Cappella vocal group of 10 women created and directed by Claire Benhamou. The original idea of ​​this set is based on the desire to make known or to re-discover Queen and their songs which are less known to the general public but appreciated by fans around the world. The A Cappella arrangement of 5 women's voices echo the genius’ of Mercury, May, Deacon & Taylor in a unique way. Claire Benhamou, an unconditional fan of the English group, is a teacher at the Ecole de Musique Lausanne. Trained in Paris in piano, singing, theory, writing, musicology and music education, she is also choirmaster and vocal coach. She gathered her ten singers from diverse backgrounds, all sharing the passion for singing and the love of Queen's music. The group is delighted to pay tribute to these legends by singing at Montreux Celebration Days 2019 on the shores of Lake Geneva, in this mythical place so dear to members of the group and especially to Freddie Mercury.